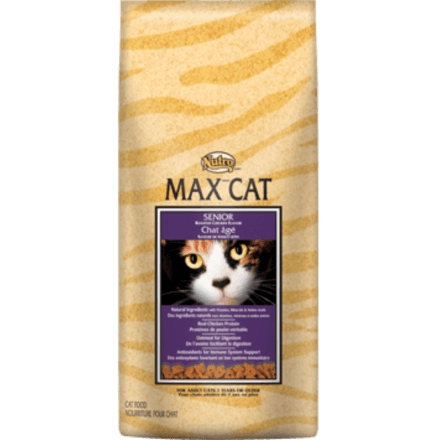 MAX™ CAT Roasted Chicken Flavour Kitten Dry Food is made with select ingredients and the vitamins and minerals your cat needs for its health and wellness. 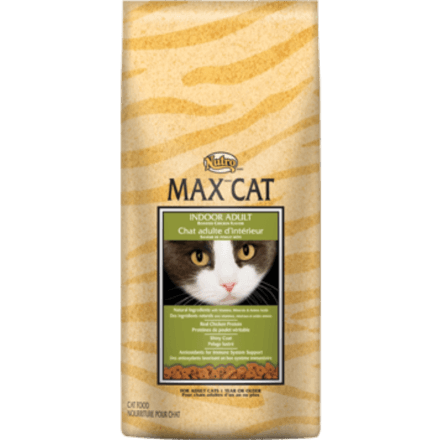 With the taste of real chicken, your kitten will find MAX™ CAT Products irresistible! Our healthy kitten foods provide rich sources of Omega-6 and Omega-3 fatty acids to help provide for a rich, glossy coat and supple skin. ‡Use a standard 8 oz. (250 ml) measuring cup, which holds 4.22 oz. 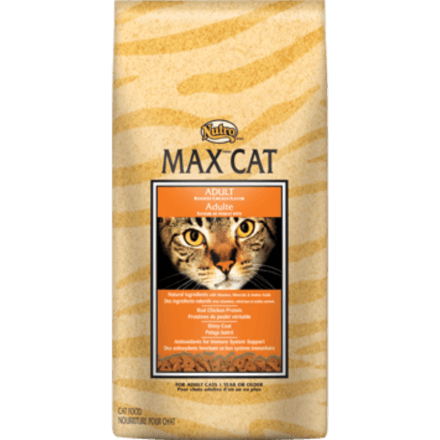 (119 g) of NUTRO™ MAX™ CAT Kitten Roasted Chicken Flavour Kitten Dry Cat Food. Metabolizable energy 3,870 kcal/kg; 463 kcal/cup (calculated). 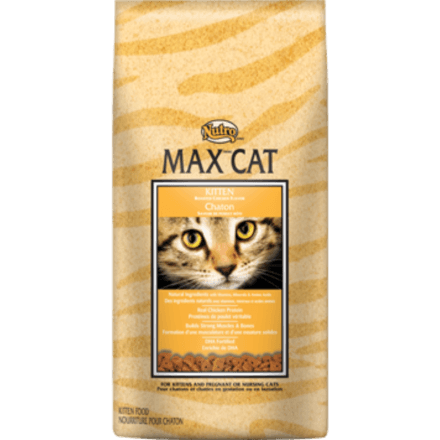 NUTRO™ MAX™ CAT Kitten Roasted Chicken Flavour Kitten Dry Cat Food is formulated to meet the nutritional levels established by the AAFCO Cat Food Nutrient Profiles for growth, gestation and lactation.